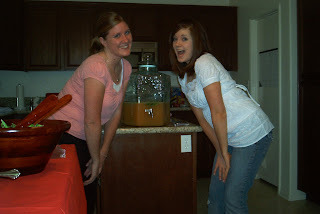 Lisa's ruminations...: Shelley's baby shower...that was some good punch! 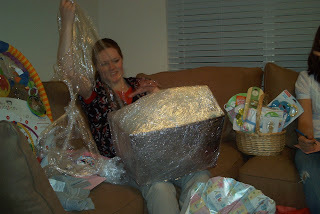 So my sisters, mom and I threw a baby shower for Shelley a couple weekend ago. It was fun times. Shelley is due in 3-4 weeks, anytime now really. She received a lot of cool things, but some of the coolest, blankets my mom made for the baby, we didn't get pictures of. Bummer. But they were cute. 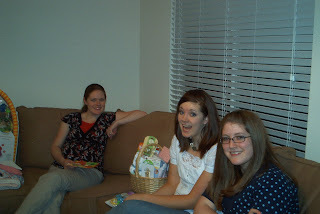 Here's some pictures of the gift opening and of my sisters and I. 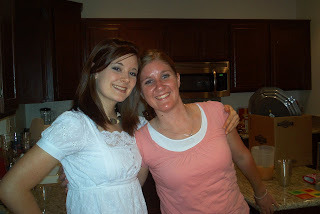 There is one sister, Brigitte, up in Utah who didn't make it down. Missed her there!